“The Doctor is alike eminent for eloquence, piety and a large acquaintance with the progress of the age in development of humanity,” wrote New York businessman Moses H. Grinnell in introducing the Rev. 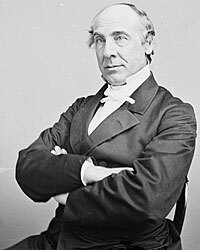 Dr. Henry W. Bellows to the President in May 1861.1 His First Congregational Church, located in Gramercy Park, included its congregation some of New York’s most prominent residents including Peter Cooper, Parke Godwin, and William Cullen Bryant. Henry W. Bellows was a well respected Unitarian clergyman, social mixer, and a born organizer. Dr. Bellows was an active leader — inside and outside of the Unitarian Church of All Souls which he pastored for his entire ministerial life. He joined the church right after graduation in 1839 from Harvard Divinity School. The Church of All Souls itself was a major New York institution whose members included industrialist Peter Cooper, editor William Cullen Bryant, novelist Herman Melville, and nursing pioneer Louisa Lee Schuyler. Dr. Bellows was also a major unifying force among Unitarians — editing their publications, The Liberal Christian and the Christian Inquirer, and serving as president of the denomination. The preacher was a moving force in the founding of Antioch College in Ohio and the Union League Club in New York. None of Dr. Bellow’s activities, however, put him in contact with Mr. Lincoln before the Civil War. Biographer Walter D. Kring observed: “The first indication that he was interested or knew about Abraham Lincoln is found in a letter to Mrs. George Schuyler in March 1860. He agreed with Eliza Schuyler in her estimate of a speech which William Seward had recently delivered, and then he wrote, ‘Did you read Mr. A. Lincoln’s — which in many ways is better? A more solid, statesmanlike Mss, we have not had, from any quarter. It proves what others simply grasp at, or abstract. '”4 He continued, however, to be a supporter of Secretary of State William H. Seward but cheered the election of Mr. Lincoln that November. At the end of April 1861, the Women’s Central Association was organized to help assist the war effort. More than 4,000 New York women showed up for its first meeting, which was attended by Rev. Bellows and Vice President Hannibal Hamlin. 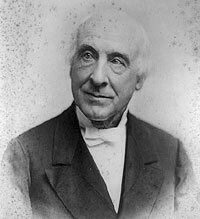 Facilities were provided by Peter Cooper, the industrialist who founded of Cooper Union. Although several doctors and other men such as Bellows were appointed to lead the organization, it was the women who did the work — such as Louisa Lee Schuyler who ran the association office. Walter D. Kring, Henry Whitney Bellows, p. 231. Allan Nevins, editor, Diary of the Civil War, 1860-1865: George Templeton Strong, p. 425 (April 4, 1864). Will Irwin, Earl Chapin May and Joseph Hotchkiss , A History of the Union League Club , p. 8. Walter D. Kring, Henry Whitney Bellows, p. 216. Walter D. Kring, Henry Whitney Bellows, p. 221. Walter D. Kring, Henry Whitney Bellows, p. 234. Walter D. Kring, Henry Whitney Bellows, p. 226. Allan Nevins, editor, Diary of the Civil War, 1860-1865: George Templeton Strong, p. 277 (December 11, 1862). Walter D. Kring, Henry Whitney Bellows, p. 232 (Letter from Henry W. Bellows to Eliza Bellows). Walter D. Kring, Henry Whitney Bellows, p. 233. Allan Nevins, editor, Diary of the Civil War, 1860-1865: George Templeton Strong, p. 314 (April 25, 1863). Walter D. Kring, Henry Whitney Bellows, p. 250-251. Francis B. Carpenter, The Inner Life of Abraham Lincoln: Six Months at the White House, p. 274-275. Allan Nevins, editor, Diary of the Civil War, 1860-1865: George Templeton Strong, p. 313-314 (April 25, 1863). Allan Nevins, editor, Diary of the Civil War, 1860-1865: George Templeton Strong, p. 314-315 (April 25, 1863). Walter D. Kring, Henry Whitney Bellows, p. 300. In Memoriam, Henry Whitney Bellows, D.D., G.P. Putnam’s New York, April 13, 1882, p. 17-18 (William E. Dodge Jr.). Walter D. Kring, Henry Whitney Bellows, p. 323. David B. Chesebrough, No Sorrow Like Our Sorrow: Northern Protestant Ministers and the Assassination of Lincoln, p. 75.